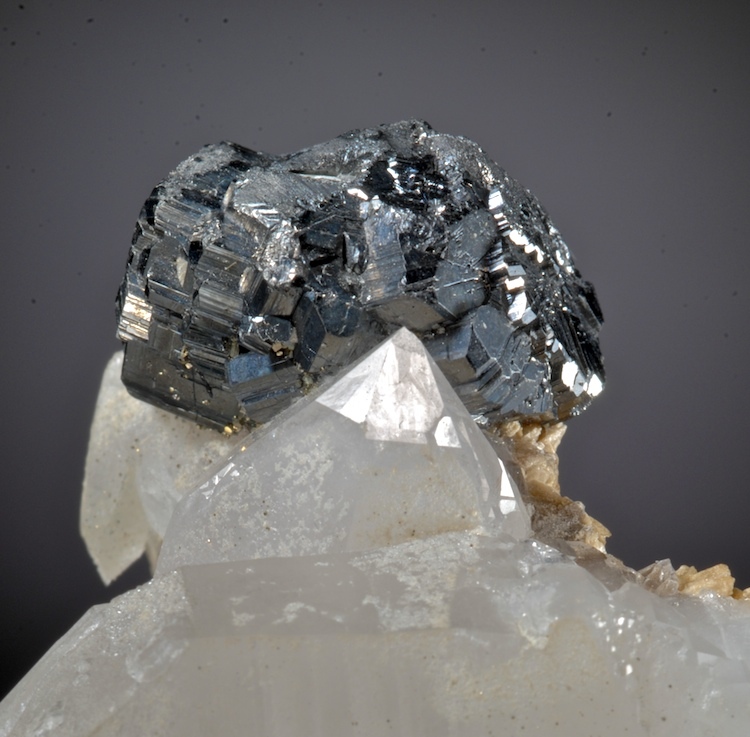 A lustrous Bournonite is perched on one end of a doubly-terminated Quartz crystal from Yaogangxian. Remarkably, the entire specimen is fully crystallized and complete on all sides, it is a floater. A modern classic specimen- vintage 2004, the great era of Yaogangxian production. The Bournonite has well defined crystal faces on the front side, however the back side is less distinct, more complex, yet still perfect and undamaged. A profusion of Tourmalines with minimal matrix making a complex but esthetic array. The Elbaite crystals are a clear light blue grading to pink and red colors. The main crystals are all perfectly terminated but some of the smaller ones have damaged parts that are not easily noticed. The crystals reach 3.7 CM and are quite three dimensional. An older Pederneira specimen with a form and color palate that is not like more recent material. Choice. 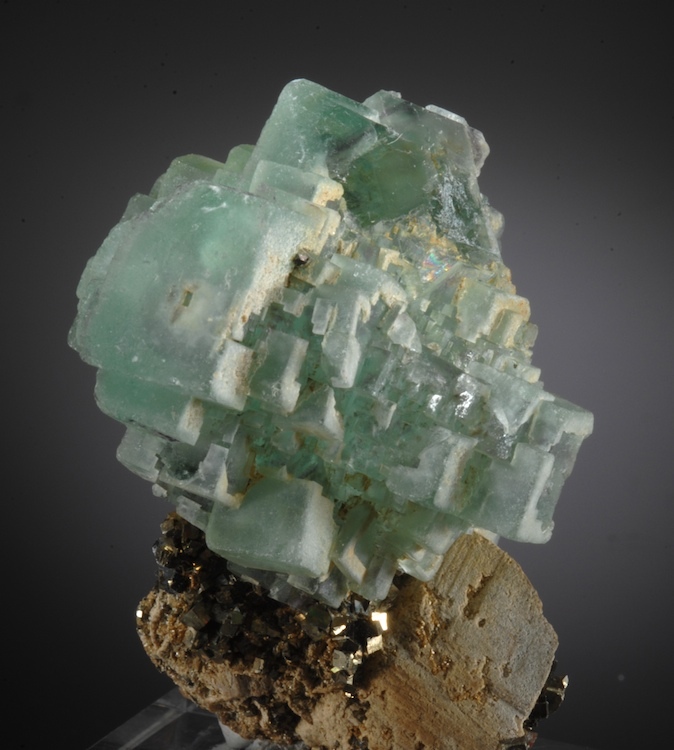 A fine and very unusual type of of Smithsonite specimen from Tsumeb. 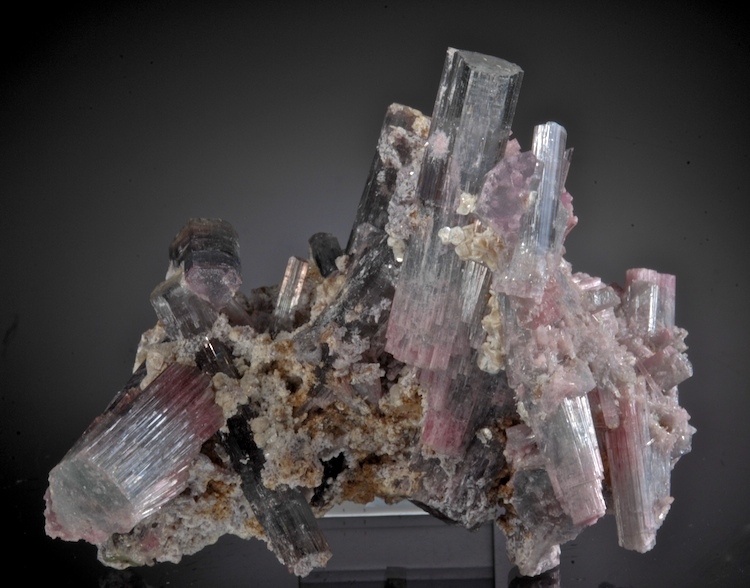 Ex John Schneider collection, this has light pink to violet transparent crystals of Smithsonite densely covering 3 parallel fingers or stalactites of Galena. In excellent condition with wonderful esthetics, this is a really weird but choice Tsumeb specimen. 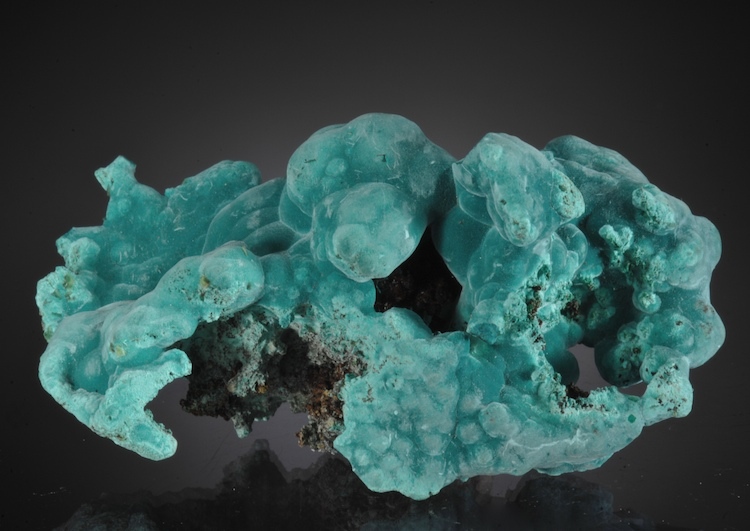 A free-form sculpture of velvety Rosasite from Ojuela. This seems to have formed over a gossan matrix most of which has been etched away leaving this botryoidal mass of Rosasite. Fine color, this is nearly all Rosasite not just a thin coating. 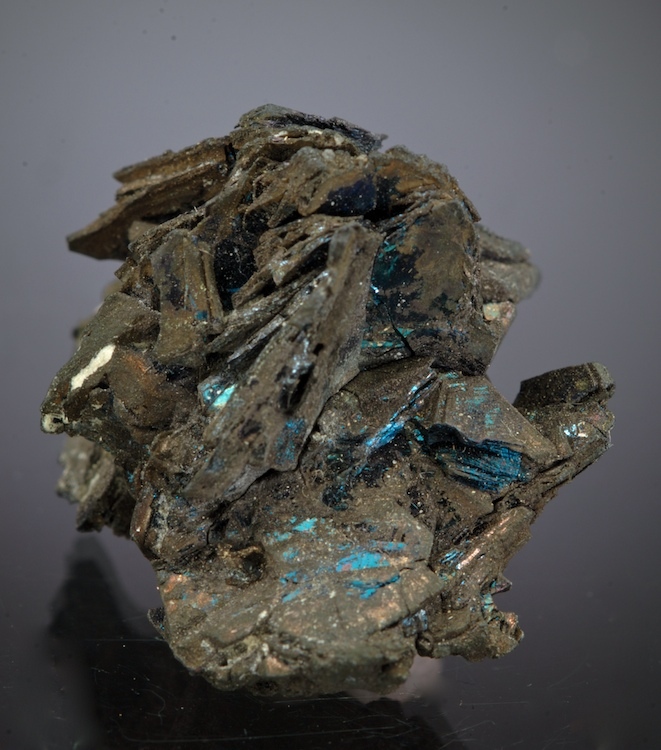 From a find in 2012 that was one of the best pockets of Rosasite seen in decades, this is a very attractive piece in great condition. 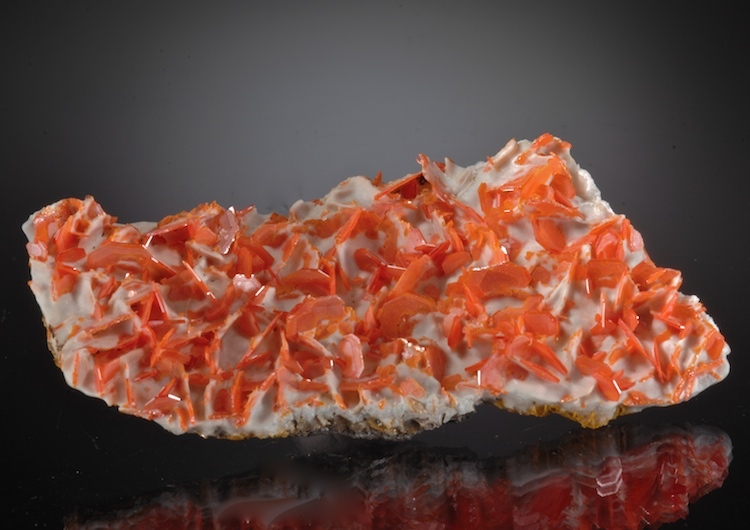 A thin plate of matrix hosts dozens of brilliant orange-red Wulfenites with a particularly bright luster. The contrast with the white matrix is excellent and the condition overall is very good, a few chipped crystals at the edges have to be mentioned, but the main central area is quite damage free. From the remarkable finds near Urumqi in Xinjiang. This specimen has not been damaged by cleaning in strong acids so the color and luster are well above average. A good value for such an esthetic piece. 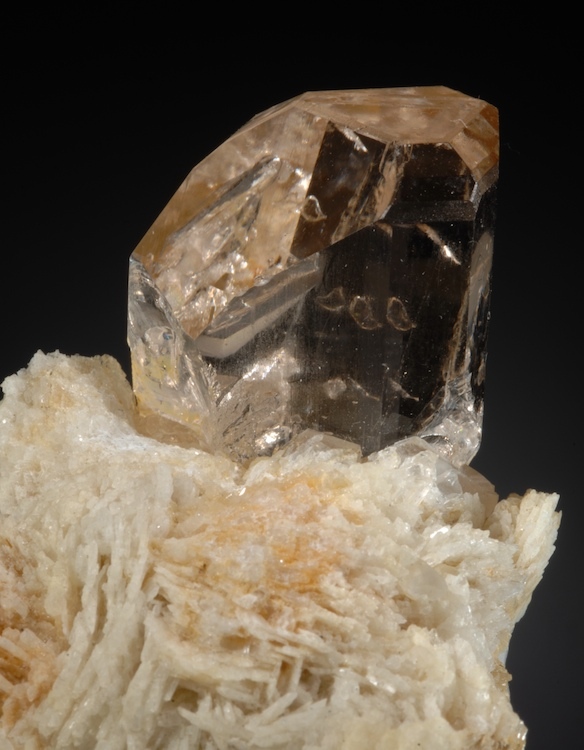 A very clear gem Topaz with a slight sherry color perched on a Clevelandite matrix. The Topaz crystal has a number of internal bubbles and negative crystals, it is in excellent condition. Nice esthetics and form, this is all natural color, there has been no irradiation for enhancement. The high clarity lets you see the matrix clearly through the Topaz. Fluorite- stepped Cubo-Octahedral with Pyrite etc. Super form showing epitaxial arrangements and a textbook structure in this esthetic Kazak Fluorite. Impressive and quite unlike any other sort of Fluorite from anywhere in the world. 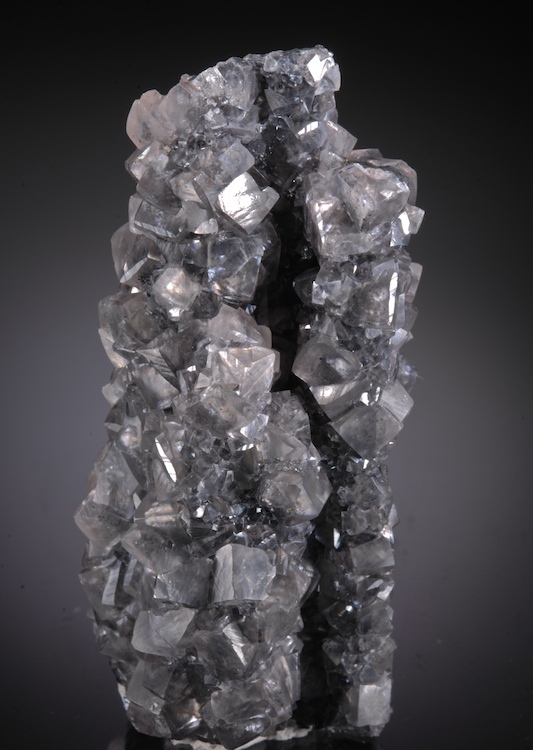 The main crystal is 4.8 CM across well perched at the top of a mixes mineral matrix. In excellent condition overall as seen though some cleaves are present with some crystal regrowth over those spots. Way better in person, this is a choice example from a find more than 2 decades ago and no longer seen on the market.